SHELLAC is a high gloss, fast drying, hard wearing alternative to nail polish that is chip resistant and maintains its glorious shine for up to 2 weeks. SHELLAC can be applied to hands or feet and its durability makes it ideal for holidays, weddings and everyday wear. Your SHELLAC 2 week manicure and pedicure just got even more fabulous with the introduction of the ROCKSTAR finish. Your SHELLAC is applied in the normal way. Then a layer of superfine glitter is added to the SHELLAC color of your choice, giving you the ultimate glam finish. Choose from a wide range of glitter and polish color combinations. 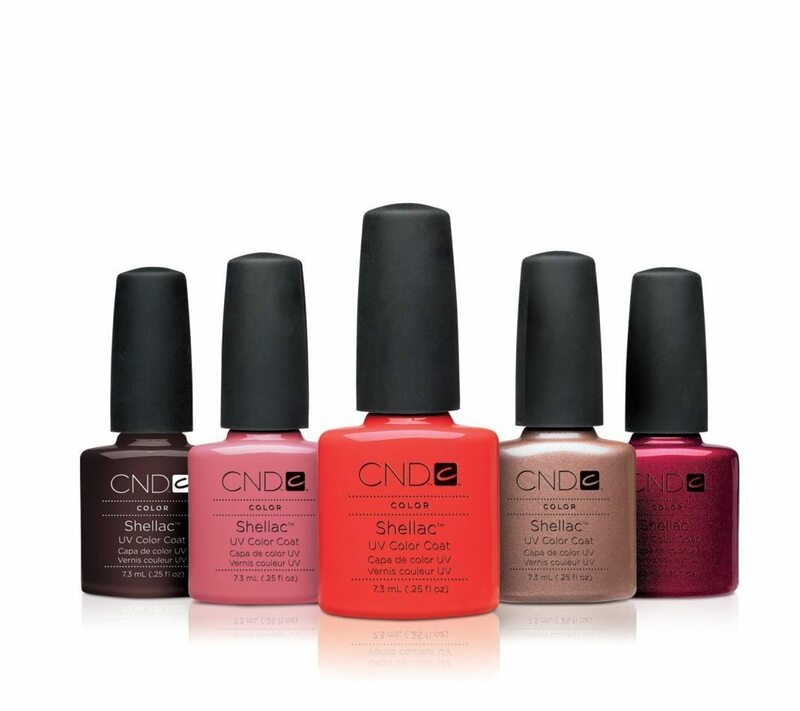 SHELLAC can be combined with a luxury manicure treatment or a shorter express manicure as required. The nails are trimmed and filed, and cuticles are gently pushed back in the usual way. SHELLAC is then painted on to the natural nail just like a normal nail polish. Unlike normal nail polish SHELLAC cures under a UV lamp which means as soon as the application process is complete, your nails are completely dry so no waiting and no smudging. SHELLAC polish is easily soaked off with a professional remover solution and can be re-applied immediately as required. Does SHELLAC damage your nails? Provided SHELLAC is removed correctly, it does not damage your nails as there is minimal buffing involved. SHELLAC provides a protective coating over the nails that can actually help protect against accidental damage.